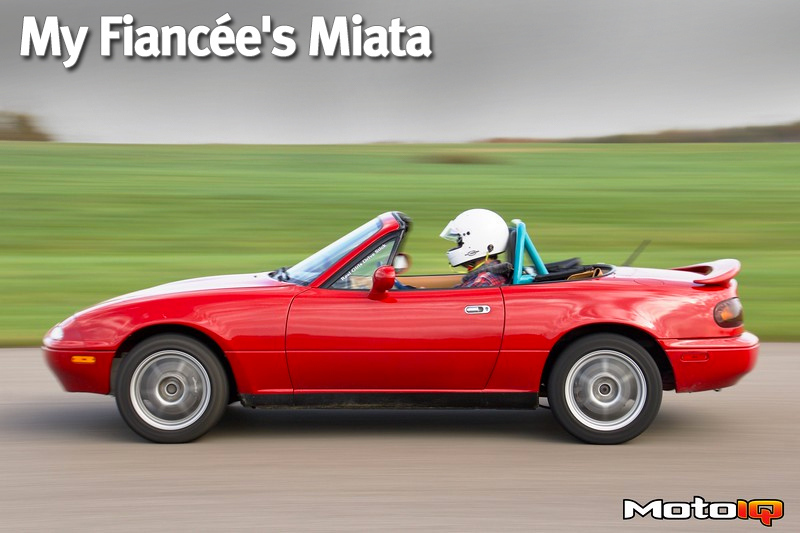 In Part 6 of our ongoing Miata project, we got to spend a lovely day tracking the car and finding out its good and bad traits. One of the most glaring problems, at least from the driver’s confidence standpoint, was a massive amount of body roll in the corners. Body roll, in and of itself, isn’t necessarily the worst thing in the world, especially as our Miata is at the stock ride height. It didn’t appear that we were running out of shock travel and we didn’t notice any exaggerated or strange tire wear, confirming that the suspension was working more or less as designed. That being said, it didn’t exactly inspire confidence. The car would set into a turn and take significant time to transfer load if I had quickly change directions. To improve the dynamics of the Miata and not feel like we’d roll over and off the track, the body roll had to be rectified. 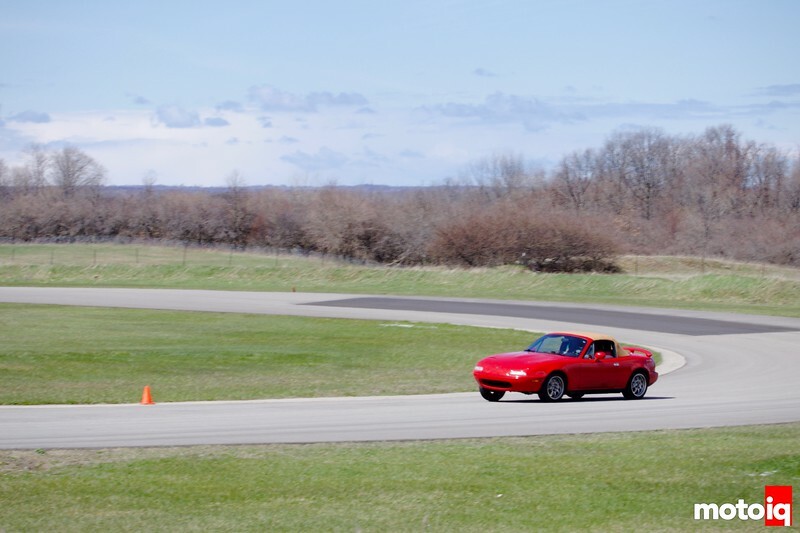 Using the miracles of modern science, we go back in time to see a shot of the Miata in turn 3 at Gingerman Raceway in early 2016. Even on mismatched, all-season tires, the car felt like it wanted to flip over due to excessive body roll. When making a quick transition, you'd have to be ready to catch the car's under or oversteer once the load finally transferred. 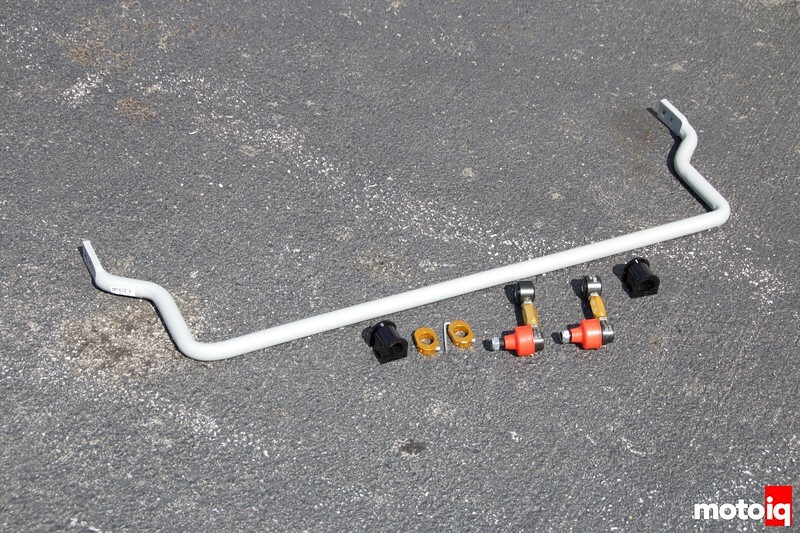 The solution to our body roll problems comes in the form of Whiteline's very complete Miata front and rear roll bar system. On top of the bars, bushings and grease, one pair of adjustable links and collars are also included. 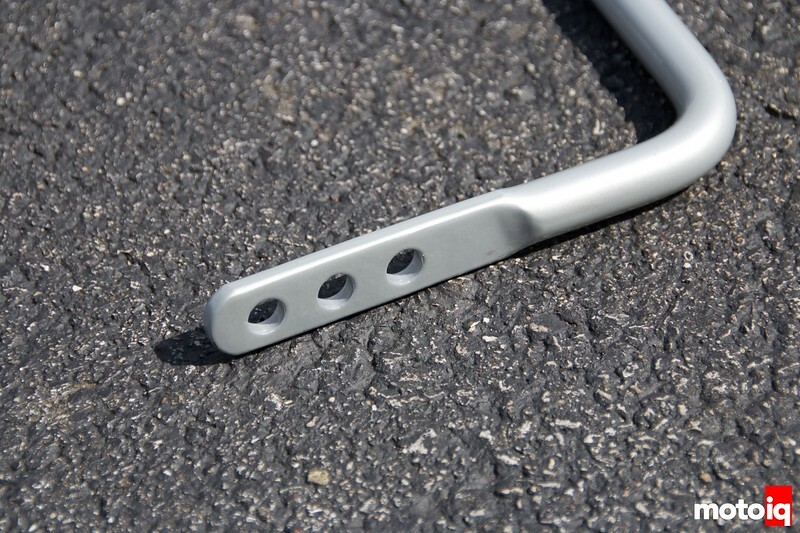 The front roll bar is two position adjustable, while the rear is three position adjustable. This level of flexibility allows for different driving styles, track setups and future modifications. 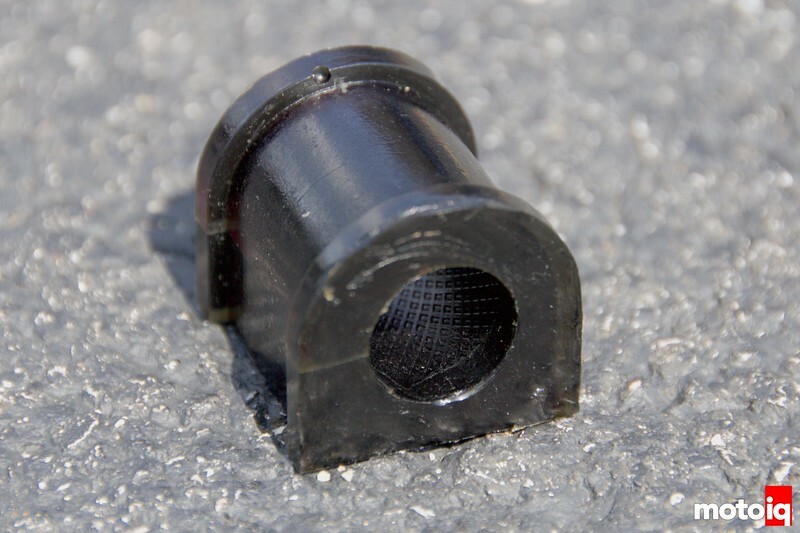 Whiteline bushings feature a textured inner surface to retain lubricant to keep squeaks at bay. Fast forward to late 2017, when this article is being published, and the bars are still offering silent performance!